Learning math can be a great source of fun for kids. 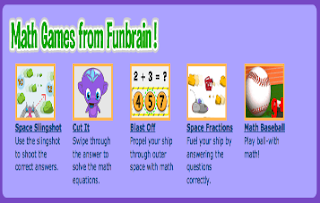 There is a wide variety of entertaining and interactive online games to use with your kids to introduce them to basic as well as intermediate mathematical concepts. As learning aids, games are proven to engage kids' attention and boost their interest in learning. To this purpose, and besides the multiple math resources we have shared here over the last couple of years, here is a very good collection of websites that provide games designed specifically to address kids mathematical needs. Topmarks has this resourceful section packed full of math games for kids 3 to 14 years old. 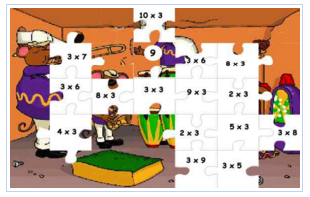 Some of the math concepts covered by these games include: multiplication and division, addition and subtraction, counting, odd and even, sequencing numbers and many more. 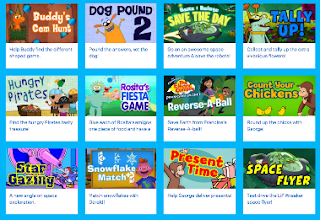 This page from PBS Kids features a number of interactive math games for kids. Some of these games are also available in other languages than English. Make sure your browser has Java installed for you will need it to play most of the games here. 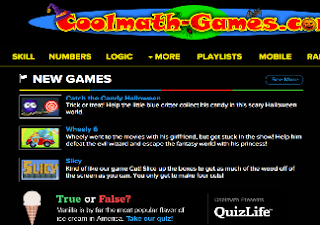 This is another excellent website that provides interactive games for teaching Math and reading. The math section includes games such as Math Arcade, Math Baseball, Connect the Dots and many more. 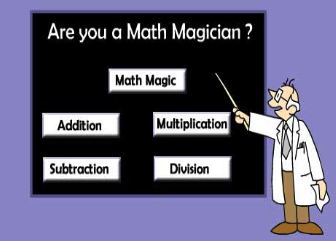 Math Magician Games from Oswego City School District is a cool website that offers games covering the basic math concepts such as : addition, subtraction, division, and multiplication. For each of the levels introduced in the game, kids are to race time to solve as many math questions as possible.